The paring knife is one of the most important tools in your kitchen. And we make an extremely sharp paring knife with an especially ergonomic handle. 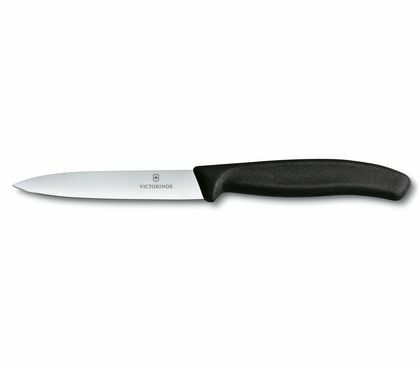 With one of these in your hand, you can do anything – from simple slicing, to intricate cuts, to inspired garnishing. 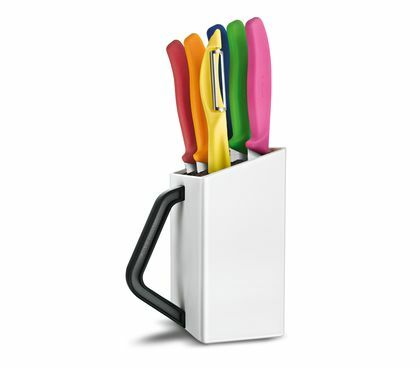 But most importantly, you'll show those fruits and vegetables who's in control. 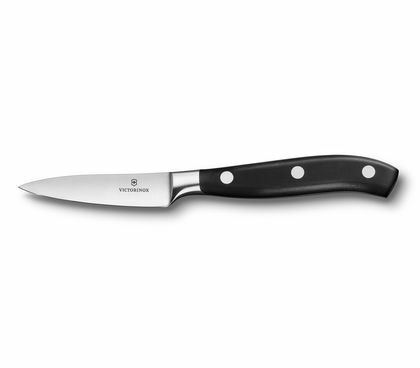 Discover what the kitchen knife has to offer. 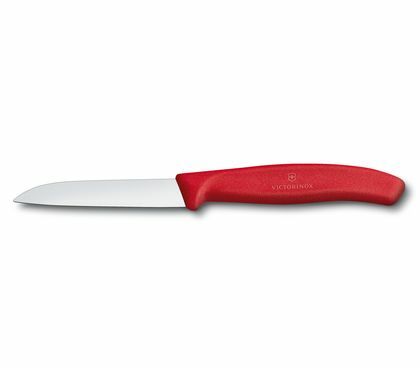 The paring knife is the Swiss Army Knife among kitchen utensils. It takes on any adventure. 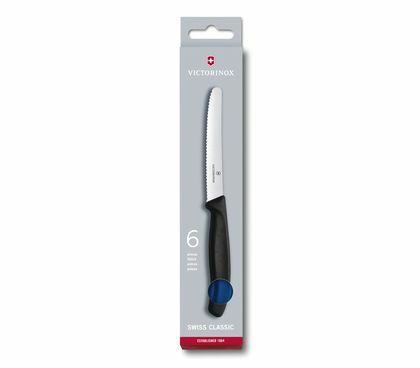 Thanks to its handy size and the precise cut, it is the jack of all trades in our knife range, and it is used on a daily basis in every household and even by every top chef. 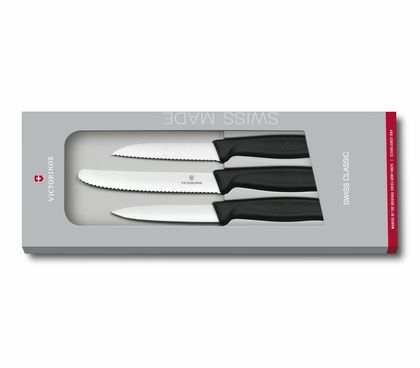 One for all: Cleaning, peeling, chopping, dicing, garnishing—our paring knives are the ideal helpers for a healthy cuisine. They are readily available and easy to use. 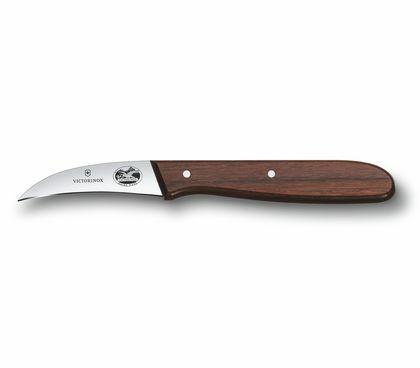 Simply likeable and wonderfully cooperative, these all-arounders are used for the skillful handling of potatoes, carrots and cucumbers, apple, pear and so much more. 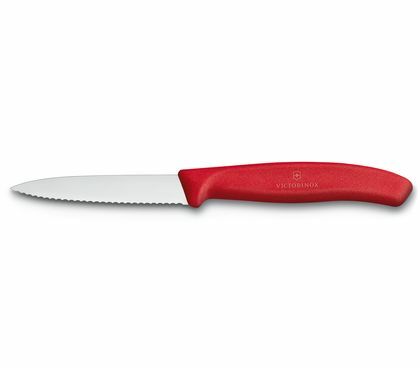 Calibrated for hard or soft: Victorinox paring knives are available with or without a serrated blade. 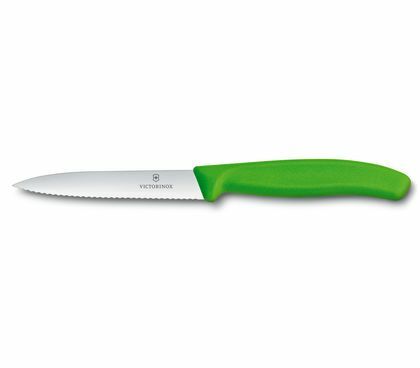 The sharp teeth are experts in dealing with firm vegetables and hard or even elastic skins. 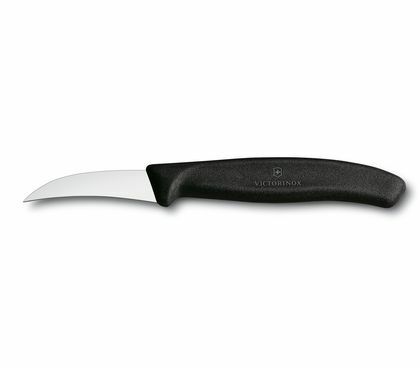 The smooth edge has advantages when dealing with soft candidates like pears and peaches. 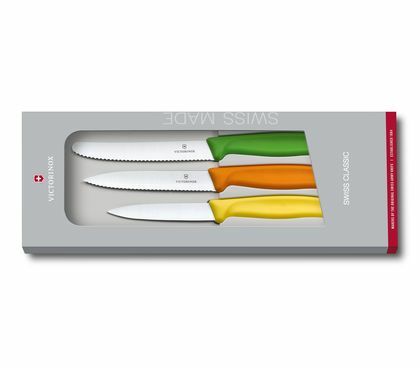 Big when it comes to small things: Wedges, slices, diamonds, pieces, sticks or spirals—thanks to the cheerfully colorful, pleasantly light paring knife, every creative cooking idea will be a success. 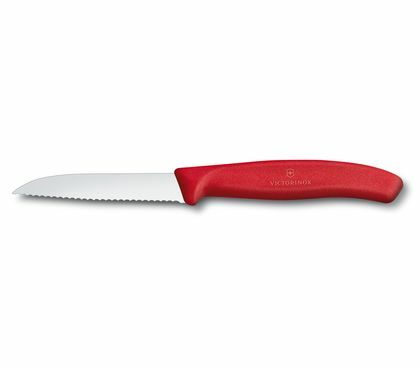 The paring knife is also ideal for carving decoration. A feast for the eye and palate. 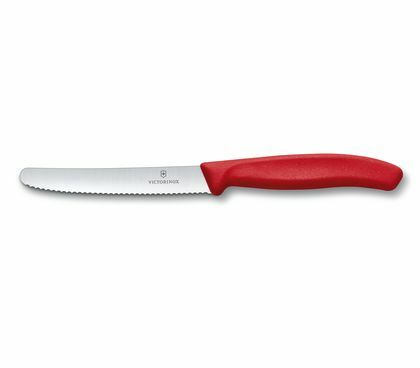 At home and on the go: The tomato and sausage knives are capable of a lot more than their name suggests. 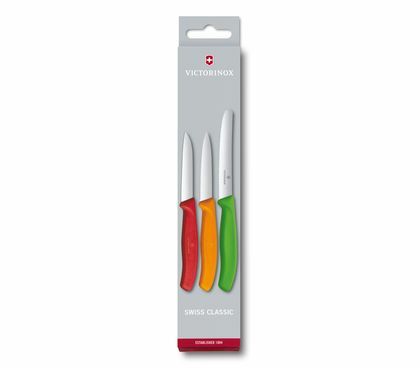 They are loyal companions for enjoying food during a break and make the ideal picnic cutlery. Perfect for fruits and vegetables, cheese, salami and ham, excellently suited for cutting and spreading.